Truck: 1996 Ford F450 Super Duty, Automatic Transmission, 4×2, 141,000 miles, Diesel 7.3 Liter, Runs Great, Drives Great, New Trans 15,000 miles ago from Ford. 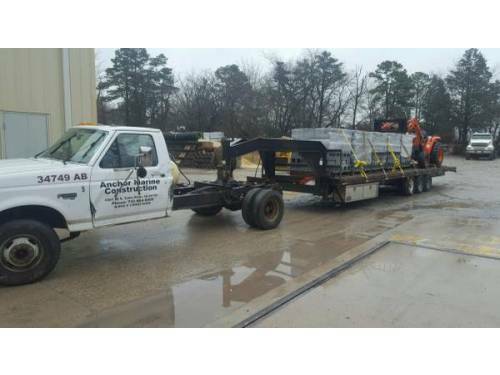 $6,500.00 TRAILER: 2008 QUALITY Tri-axle GOOSENECK / 5TH WHEEL, Flatbed trailer, new ramps, 6 new Tires and Rims, New Electric Brakes, Trailer comes with both connections 5th wheel, and gooseneck. $5,500.00 The combo, truck and Trailer $11,000 firm.